Disclaimer: I'm not a psychologist. I'm not a social scientist. I'm not a neurologist. Which is why I'm addressing narcissism from a place where I do have a valid opinion; a point of view which I can make some sense of the nonsense. The cultural perspective. Narcissists play a huge role in culture. Every monumentally influential figure--from Napoleon to Hitler, Kanye to Trump, Elon Musk to Beyonce--is probably a narcissist. Narcissist aren't always bad people. In fact, they usually aren't. Narcissism manifests itself differently in different people, but almost always it is identified by a trait of serial production. The people for whom enough is never enough. People who conquer, who go, who create, who challenge again and again, because they're convinced that they can change the world. And they almost always do. Narcissism has given culture a lot. Much to appreciate and much to debate. But it has also lead the world down dangerous paths; paths that others follow blindly because--as much as narcissists love themselves, we usually love them too. Which brings us to Kanye. A man whose life is the stuff of legend. Like he was born to be studied, tracked and psycho-analyzed. His story is a long one; complexed and nuanced. And we've gone from hating him to loving him to hating him to loving him to loving to hate him, and now, just worrying. He's an enigma. Someone capable of striking an internal conflict within an entire culture. Where do we stand on Kanye? Where does he stand on us? Though Kanye West has spiraled out of control before, no time has ever been as volatile as this. The kid who used to rap about imperialism and structural racism is now a beacon of conservatism, aiding the endeavors of a man who literally hates him, and sees his hometown of Chicago as a breeding ground for thugs. He's spewing talking points of right-wing pundits as if he married Ann Coulter rather than the other hypervisible white girl. The guy who rapped about his mom attending the sit in's is now telling us slavery was a choice, and expects us to believe that he--who got liposuction not for himself but so we "wouldn't call him fat"--is bold and brave and free enough to have resisted slavery. In the midst of this, a lot of us in Hip Hop wonder if we failed Kanye. If we saw him slipping and didn't catch him. If our fandom was too much of a one-way street; all take and no give. He's given us so much, and here we are, prepared to turn our backs on him for a trait of his that we once admired--narcissism. 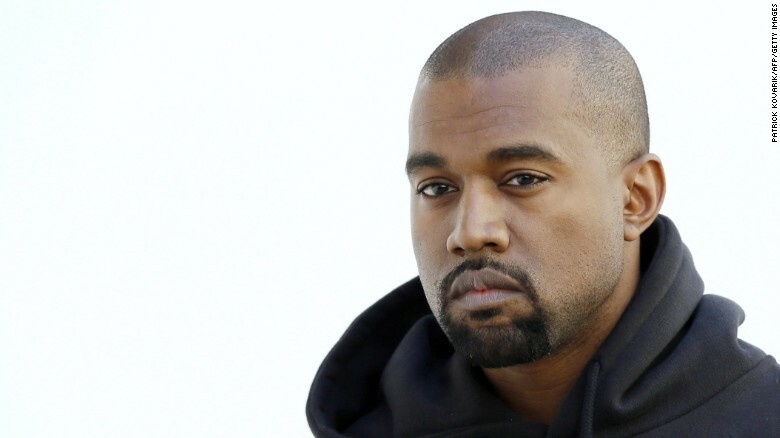 What was once an almost charming display of confidence that made for unbelievable George-Bush-Doesnt-Care-About-Black-People and Taylor-Imma-Let-You-Finish-But moments (+ amazing music), is now fueling an agenda that is set out on the demise of the very community that made Kanye Kanye. We should've pulled him back. Reigned him in. Launched a cultural intervention. But can you stop a derailing train, or is a crashing burning end imminent? And some will say that although Kanye is trippin trippin, it doesn't matter because of course he doesn't mean it. It's just marketing. He's just trolling. He's being different. Black people don't have to be Democrats, anyway, and he's going to quiet down after all his new music drops. But it's much bigger than ploys for streams. Ye was gone get those anyway. When a black man is comparing himself to white men--Walt Disney, Pablo Picasso, Steve Jobs--all day, while apparently planning a presidential run and screen shotting every text or phone call made to him by high profile peers, that's not about attention. That's about convincing others, and therefore yourself, how important you are. Kanye is right to see himself in Trump, but it's not politics that links them. Listen to any Kanye album and you'll see that his views don't align with Trump's, no matter how hard he's trying to make them match up now. It's narcissism. The compulsive need to make everything about you, always. Even and especially at a high operative level of cognitive dissonance. Cognitive dissonance is best described culturally as "thought conflict." As humans, we are extremely uncomfortable when our thoughts and actions don't align. But we're more likely to change our thoughts than our actions. Example: Evangelical Christians think divorce is wrong. Evangelicals support Donald Trump, a man who's had several marriages. Evangelicals are more likely to loosen their stance on divorce than to stop supporting Donald Trump. But narcissists are less affected by the discomfort. Because they think they're always right. They don't need to make these mental shifts because they're sure that somehow, what they're saying and thinking is true. This is why they seem so erratic and comfortable with contradiction. Because they are. They don't research to inform their thought, because they're sure it's right. They don't adjust to improve their behavior, because they're sure it's right. They say vague but loaded statements (like "We're taking our country back" and "think without fear") to get mass agreement without having to tend to the details. We don't know where to stand on them, because, really, they don't stand anywhere on anything. Narcissists are determined to prove themselves right. To defend the indefensible. To stand their ground in muddy waters. Think of all the times Donald Trump has been wrong. All the times the facts directly contradicted every word out of his mouth. His explanation was almost always "Well, that's what I heard" or "That's how the people feel" or "That's my opinion." How different is that from yelling "freedom of thought" and "Candace said..." at the top of your lungs over a chorus of sound rebuttal? Think of all the times Donald Trump has been criticized, rightfully so, for the outrageous statements he's made. And all the times he's claimed to be "attacked" by a "false media." How different is that from what Kanye insisting he's being "attacked for presenting new ideas?" Think of all the times, when made fun of--especially in the context of wealth or status--, Donald Trump took to Twitter to aimlessly defend himself. How different is that from "Does this look like the sunken place?" Think of all the times Donald Trump insisted his platform was new, his ideas were fresh, all the while he was harkening back to generations-old ideologies? How different is that from Kanye insisting his basics-only clothing line and recycled ideas are innovative? Their messaging--Make America Great Again and We Got Love--are gaslighting strategies that insist that there is some positive outcome from all of these obviously contradictory actions. To imply greatness and love is the result of oppressive politics is nothing but propaganda. But the end goal is not so much about preservation of country or spirit as it is about preservation of self. The question now is, with a disease like narcissism which relies on reactionary tactics, how are we going to respond to Kanye's calls for validation?